Horizon International works to find and advance solutions to vital concerns in the interconnected areas of health, the environment, population and economic well-being through its programs, lectures, conferences, and consultancies. The organization, based at Yale University, focuses on needs that it can most effectively address, prioritizing initiatives that are most pressing and that inform and inspire positive action with the help of its Scientific Review Board and Special Advisors. This Solutions Site provides a forum for the presentation of solutions. It was created by Horizon International in collaboration with the United Nations Environment Programme (UNEP), the United Nations Development Programme (UNDP), the United Nations Population Fund (UNFPA), UNICEF, the International Development Research Centre (IDRC) of Canada, Yale University, and Horizon's colleagues at Harvard University. Initiatives are gathered through a number of different means, including direct user submissions, the substantial efforts of partner institutions, and Horizon’s own research activities. All material accepted for publication has been reviewed. 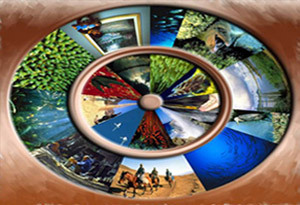 In addition to the Solutions Site, the organization’s main programs include: an oceans and coral reefs program titled the Magic Porthole on the Web at www.magicporthole.org and www.coralreefs.co, and award-winning international TV documentaries that can be viewed and downloaded (in low resolution) at www.horizoninternationaltv.org and from YouTube at jselendy’s channel. 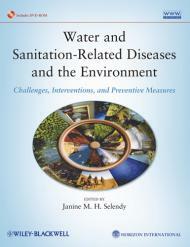 Horizon is pleased to announce its new book “Water and Sanitation Related Diseases and the Environment: Challenges, Interventions, and Preventive Measures,” a Wiley-Blackwell publication in collaboration with Horizon International, written by 59 experts and edited by Janine M. H. Selendy, released November 2011. The book is accompanied by comprehensive DVDs and Supplementary Material and is available from Wiley at www.wiley.com/go/selendy/water. You can read about the publication on the Solutions Site available at http://www.solutions-site.org/node/532.